There are things that I run into as a teacher that I wish I could create a whole year around. For example, LEGO Mindstorms robots. For those of you who are not familiar with LEGO Mindstorms, they are a product line produced by the good people of LEGO. They allow students to build robots. When I was a kid, they called this line “Technic,” and I remember spending hours lining up little gears and cogs to make cars with working steering and gearboxes. Today, our kids have a kit that comes with three servo-motors, an array of sensors and a Bluetooth-equipped “brick” that can be programmed on the fly or with LEGO’s computer software. I inherited nine LEGO Mindstorms classroom kits for my gifted and talented program and the result has been fantastic. Students first create and program a simple robot that follows light or lines on the carpet, avoids obstacles, and hits red balls with a hammer. But like all things LEGO, the fun begins when you deviate from the book that comes in the box. Schools across the country have LEGO League programs where students compete with their engineering marvels. Last year my students created a working Segway that balanced itself using a beam of light to determine how far it was leaning. Another group created a device that could calculate the volume of any object. This year, I have a group making a machine that sorts bricks based on color; a factory machine in miniature. Yet another group is planning to create a machine that automatically solves the Rubik’s Cube. 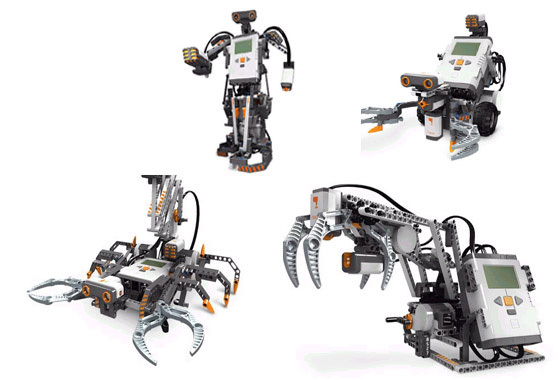 I could create a year-long class based around the engineering and design principles used by LEGO Mindstorms, and could easily have another year-long class dedicated to the programming aspects. As a teacher, I could see myself spending months tinkering with how they work and finding new aspects of science, math, problem solving, and logic to teach my students. But being a small school, I don’t have the time—not while there are so many other things to do and so little time to do it in. I have all the respect (and jealousy) in the world for those teachers who get to spend more quality time with these creations. Some of the other things I have seen made using LEGO Mindstorms include: A working scanner and printer, a three-speed transmission with clutch, and an automatic Sudoku solver. Just try looking up “LEGO Mindstorms” on YouTube and see what comes up. I was told once that in the 60’s, all the NASA engineers had worked with Erector Sets as kids. If little metal screws and beams can eventually land a man on the moon, I wonder what the kids who play with microcontrollers and code in their free time will come up with?